Should discipling children with additional needs be a priority for the church? The simple answer is always going to be yes. Jesus told us to make disciples of all people! Jesus spent a large part of his ministry surrounded by those who were rejected by society – children, the disabled, the sick, the prostitutes, the tax collectors etc. He accepted them, included them and taught them. I suspect often at the disgust of the leaders in the synagogues and temples. Jesus took time with them and met them where they were, both physically and spiritually. As Christians, should we not be following His example? So how do we disciple children with additional needs? Firstly, we need to accept, include and welcome them as Jesus did - With no barriers. Jesus placed a lot of importance on children coming to him even if his disciples didn’t. Children with additional needs can have a relationship with God as much as any other child or adult. We may not understand how, but then we don’t need to! God will reach out to them in ways that they are able to understand and respond to. Even if a child is unable to speak, they will still communicate how they are feeling and how God is reaching them. It may just be a smile on their face or light shining in their eyes. We shouldn’t be limited by our own human understanding of God. He does so much more in people’s lives than we can ever imagine. Secondly, we need to realise that we all learn in different ways and this applies to those with additional needs too. Many of us are visual and kinaesthetic learners. Someone standing up at the front of church just talking will have very little impact. However, if that same person includes a PowerPoint or videos in the talk, then we may take in much more. We must take time to discover the way in which each child learns best. Is it visual, kinaesthetic, reflective with drawing or smell. 1:1 Support: The child with additional needs may need some 1:1 support to help them feel less anxious about what’s happening in the group, help them do activities and explain things to them. The person providing 1:1 support doesn’t need to be a children’s/youth worker. They just need to be a caring person who is willing to come alongside the child. However, it shouldn’t be the parents – they need a chance to be in church themselves. Bibles: Make sure that there are Bibles that the child can understand. A picture Bible works well and helps the child to understand God and His word more easily. If the child loves Lego, there’s a Brick Bible. There’s also a Minecraft Bible as well as many other types. Have a look in your local Christian bookshop! Creative storytelling: Make a scene from the story out of playdough or Lego. We recently had a child with ASD who used Lego to recreate the Last Supper. It was his way of engaging with the story. Children may enjoy drawing the story or recreating it using Minecraft. 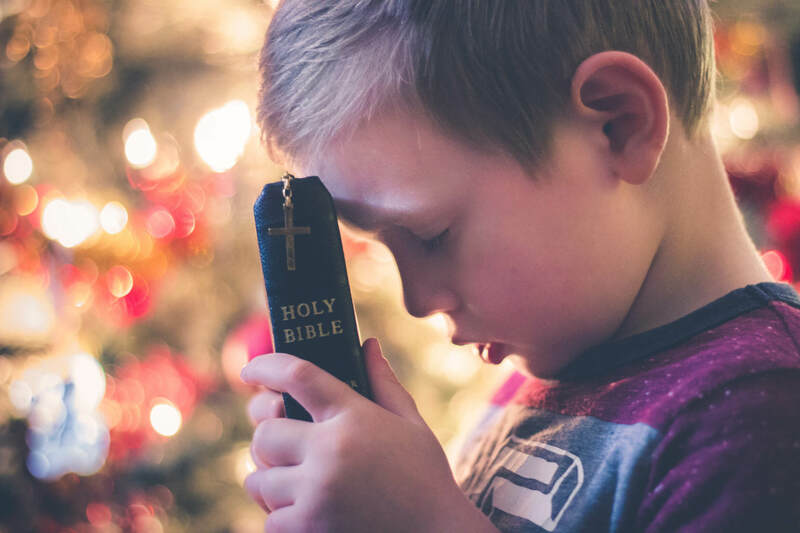 Interactive prayers: Making prayer interactive can help the child with additional needs communicate with God, even if they don’t have the words to say. You can use bubbles, dissolvable vitamin C tablets, water beads, pictures, flags… the list is endless. A quick search on the internet for ‘Creative Prayer’ and you’ll soon have a few ideas to get going with! Music: Music can have an amazing effect on people. How many of us have been emotionally moved when listening to a piece of music? God can use music to reach out to the child with additional needs. Use their gifts: Encourage those with additional needs to use their gifts! The children may need encouragement and/or help to use them, but what a blessing when they do! My son, who has Asperger's, loves anything technology based. When he was about 13 he was encouraged to use his skills by helping with the sound at church. As a result he now helps out with sound and visuals at Scripture Union’s X:Site holiday and so helps to disciple the children that attend there, some of whom also have additional needs. Discipling children with additional needs is just as important as discipling any other child or adult. We may need to make adjustments within our groups, but it will benefit all the children in the group, not just the child with additional needs. I’ve yet to find a child that hasn’t enjoyed making something out of playdough or Lego! A child with additional needs can teach us so much about God, if only we let them. Are we prepared to do that? Lynnette Peckett is the Voluntary Additional Needs Coordinator for Teddington Baptist Church. She has been married to Alan for 31 years and has 2 grown up children, one of whom has Asperger's.